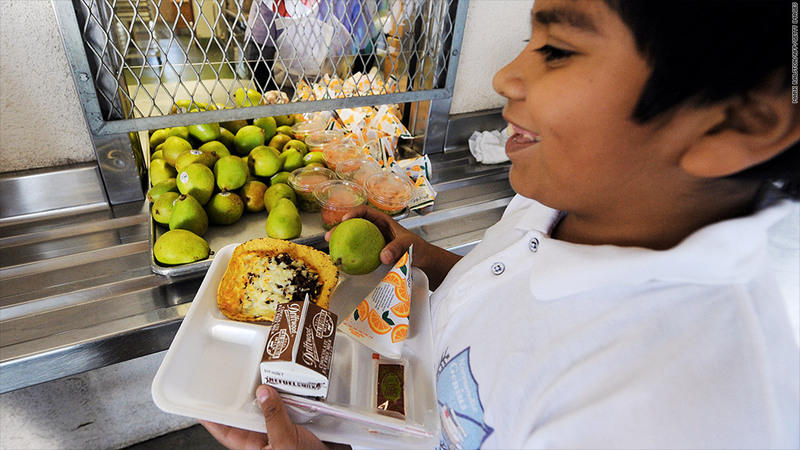 Proposed cuts to the food stamps program could take away free school meals from 210,000 children next year, says the White House. 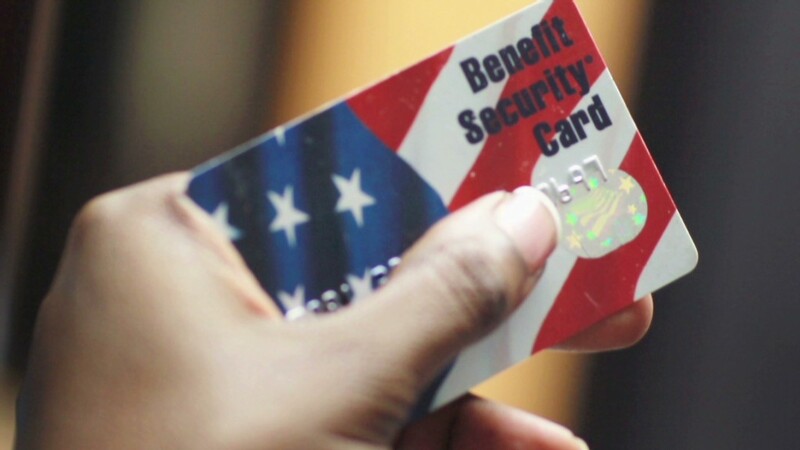 The White House is making a push to protect food stamps. On Tuesday, it issued a report that shows nutrition subsidies keep 2.2 million children out of poverty. While the report doesn't offer any new insight on the benefits of food stamps, it shows that President Obama is ready to use his bully pulpit to guard the program against cuts. House Republicans are pushing to make changes to food stamps, which could lead to 3.8 million people losing their nutrition benefits next year and cut 210,000 kids from free meals at school. "While the President's budget protects this vital program, legislation passed by House Republicans would make deep, harmful cuts that would make it harder for millions of Americans who are already struggling to put food on the table," the report said. Food stamps have lately become the newest battlefield for the political parties, as lawmakers try to hammer out a deal on a farm bill, which sets rules for the program. Currently, the Supplemental Nutrition Assistance Program, which is the official name for food stamps, feeds 47 million people. Enrollment in the program has soared since the recession, with 15% of the population getting benefits, according to September federal data. More recently though, food stamp spending has leveled off and is even expected to fall next year as the economy improves, according to a recent report by the Center on Budget and Policy Priorities, a left-leaning think tank. The average monthly benefit is $133.19 per person. Most food stamps go to children, the elderly, or people with disabilities, according to the White House, which highlighted a 2011 survey. Households with children accounted for 70% of food stamp benefits. And children, alone, accounted for 45% of food stamps, according to the White House. Others say cutting food stamps could hurt the economic recovery. "It won't be helpful if they decide to cut back on food stamps next year, which is one of our most effective anti-poverty programs," said Ken Rogoff, a Harvard University professor and economist. The House bill would cut $40 billion in funding over a decade, forcing about 14 million people out of the program by 2023, according to the nonpartisan Congressional Budget Office. The proposal would also make it tougher for families to qualify for food stamps. House Republicans say their reforms would eliminate those who shouldn't be getting food stamps by closing loopholes that let "people whose monetary resources are above eligibility standards into the program," according to a memo from the Office of House Majority Leader Eric Cantor. "(The program) serves a noble purpose to help Americans who have hit bottom, which is why we must make certain it is working in the most effective and efficient way," said House agriculture chief Rep. Frank Lucas, in a statement. A Senate version of the farm bill would save $4 billion from food stamps, with provisions aimed at ending fraud and abuse. The White House report says that food stamps kept 5 million people out of poverty in 2012, based on census figures out earlier this month.